Welcome to Toby's AussiE-Update for November, 2007! We thank you for your continued support of Toby's Foundation and hope this newsletter is a valuable way for Toby's Foundation to keep you informed. 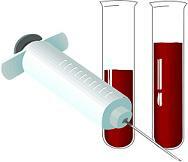 Toby's Foundation has updated our blood sample submission recommendations to include several organizations doing research for canine epilepsy. We urge you to send samples from your dogs directly to 2 or 3 studies not just one. Visit our research updates page for current information. Also, please remember, if you have a special person or event to honor this holiday season, we will send out a lovely announcement card to the person you specify. The card will tell them you have made a donation for epilepsy research in honor of or in memory of that special person or event.